aloo tikki chaat recipe | aloo patties chaat recipe | tikki chaat recipe with detailed photo and video recipe. a simple and tasty street food or chaat recipes mainly prepared from potato patties or potato tikki with other chaat chutneys and spices. 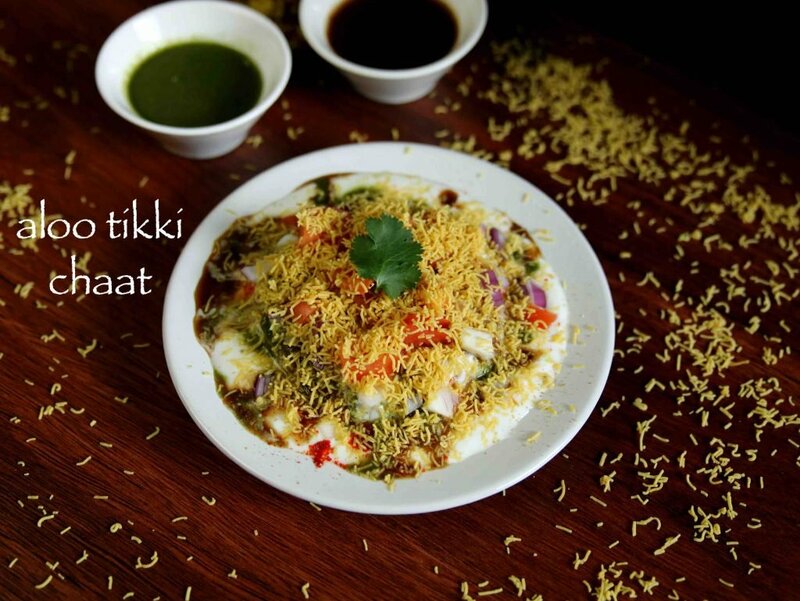 tikki chaat is filling and appetising snack mainly originated from north india, but hugely popular all over india today. aloo tikki chaat recipe | aloo patties chaat recipe | tikki chaat recipe with step by step photo and video recipe. basically a extended version of aloo tikki or potato patties served with spicy lip smacking chaat chutney, finely diced onion and tomatoes with some fine sev. it can also be served with with chole curry or chole gravy to have aloo tikki chole chaat. 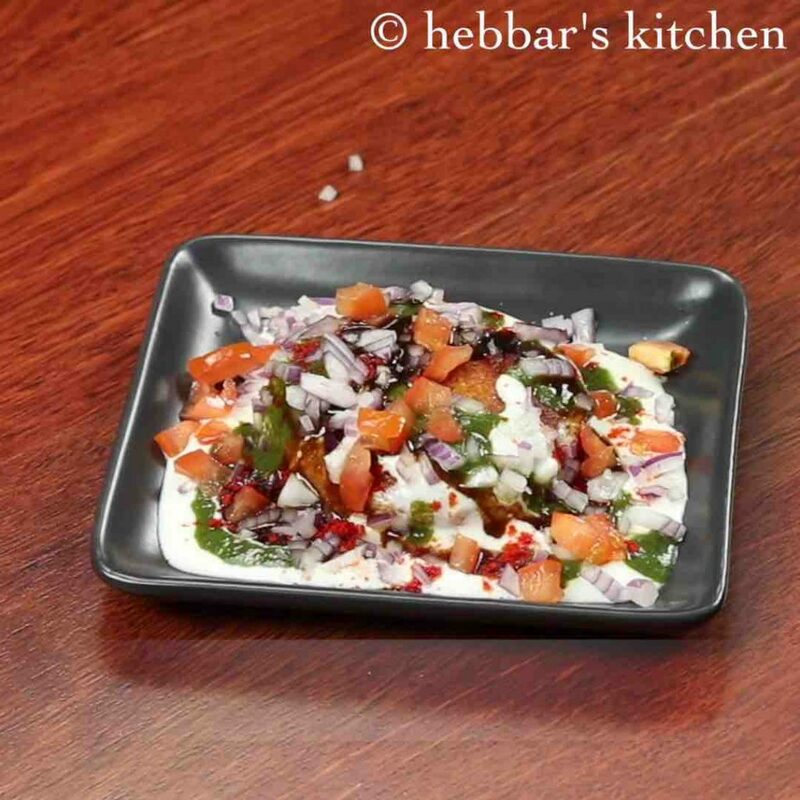 but this recipe is served with dahi or curd / yoghurt to balance the spices and to provide the sweet and sour taste to this chaat recipe. 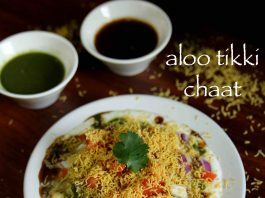 chaat recipes are very common in my house and me and my husband has a special interest on it. specifically on friday and saturday, we prepare variety of chaat ranging from pani puri to sev puri and even bhel puri. 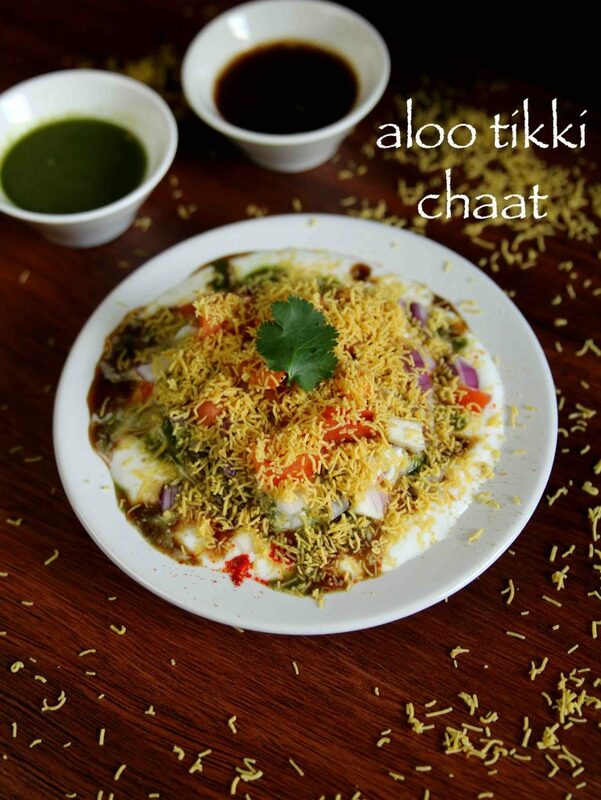 however lately, we have new addiction and that is aloo chaat and aloo tikki chaat recipe. we prepare it frequently just because it is super simple to prepare it. 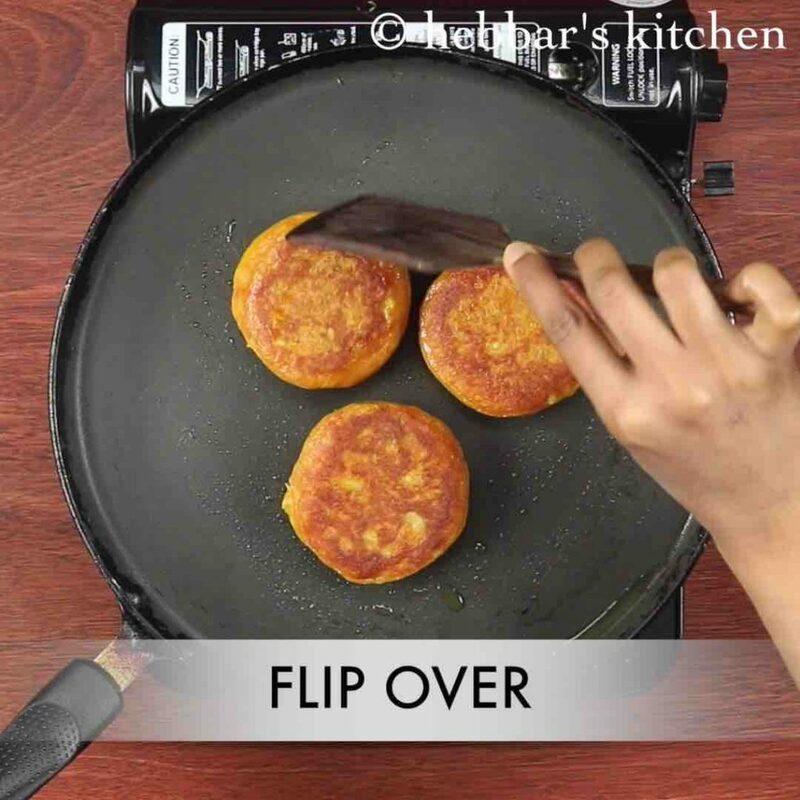 i typically prepare these aloo tikki’s well ahead in advance and deep freeze them and i use it whenever i require it. also i use the same tikki’s as patties for my sandwich and burger recipes too. 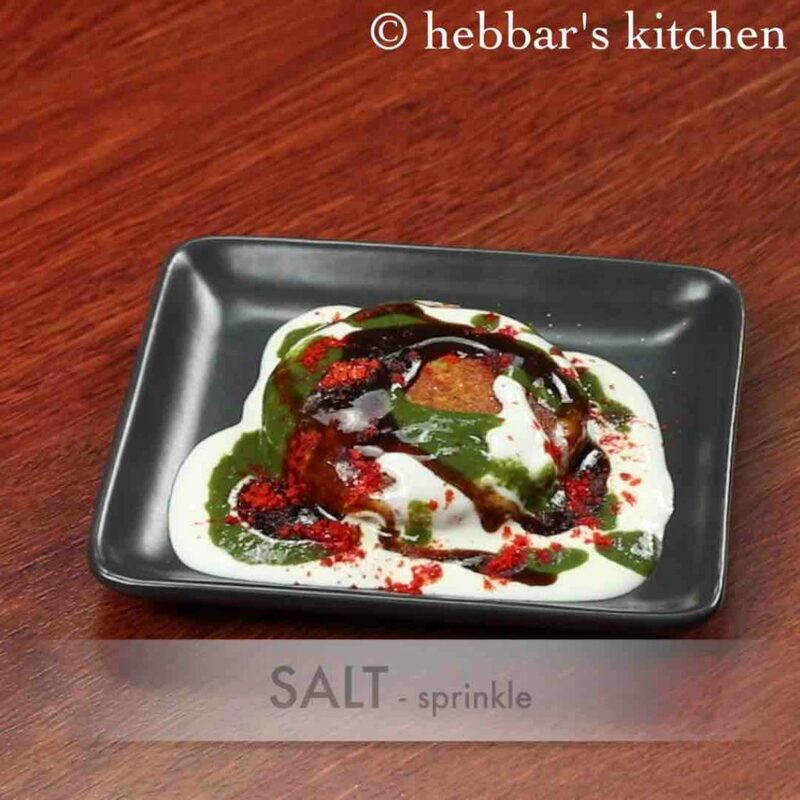 some tips and recommendations for a perfect and chatpata aloo tikki chaat recipe. 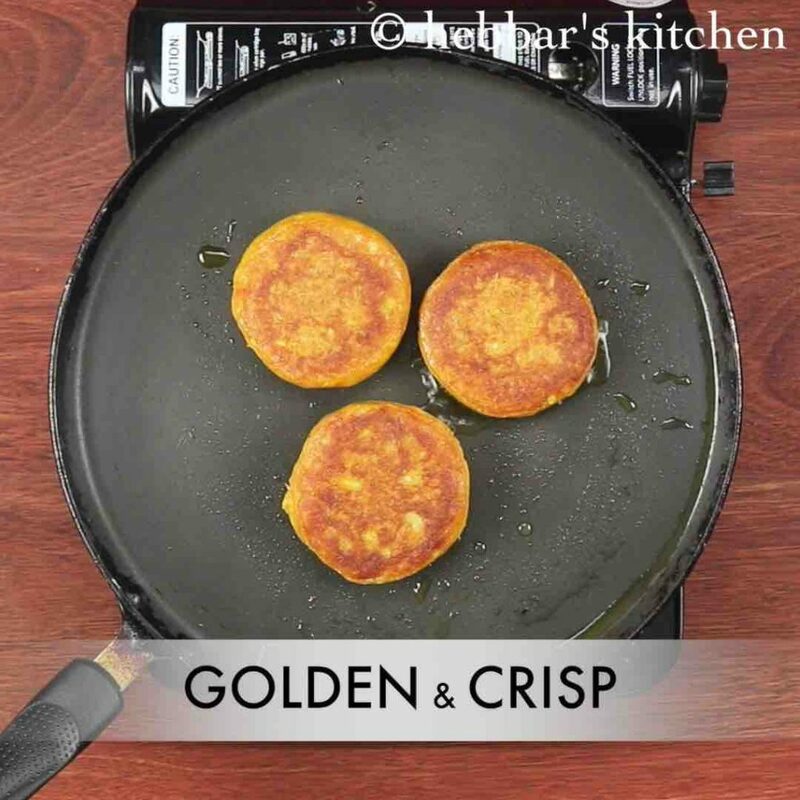 firstly, i have prepared the aloo tikki freshly by boiling and mashing the potatoes with spices and corn flour. optionally you can prepare the same chaat recipe with store bought frozen aloo patties too. secondly, i have added finely chopped onions and fine sev like any other chaat recipes. however, you can skip these to make it no onion no garlic recipe or for the vrat or fasting recipe. 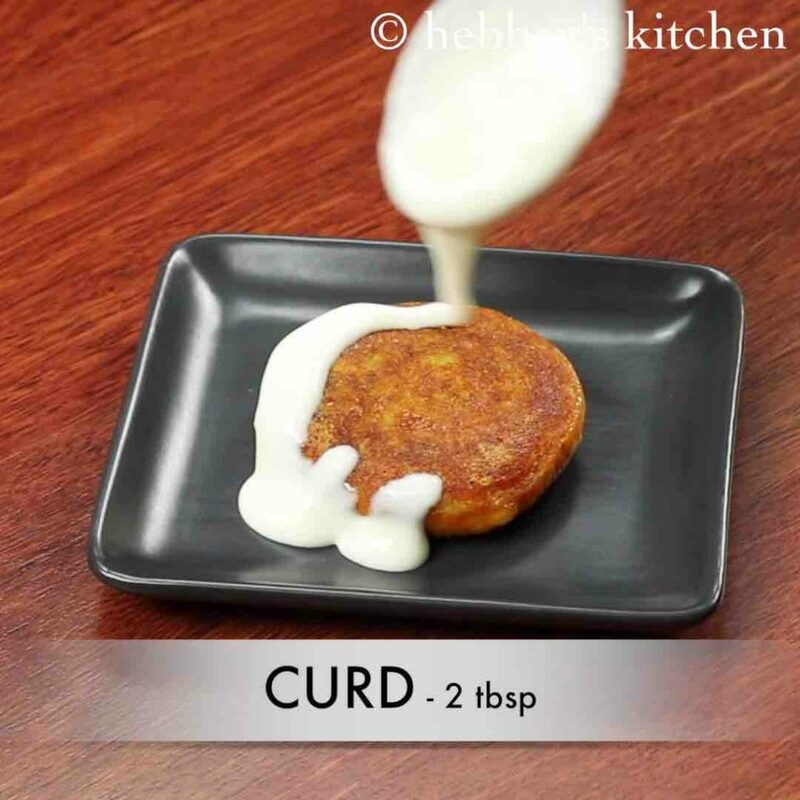 lastly, while preparing aloo tikki, you can add bread crumbs, powdered rusk, crumbled bread pieces and even oats powder as an alternative to corn flour. firstly, in a large mixing bowl take 2 boiled and mashed potato. 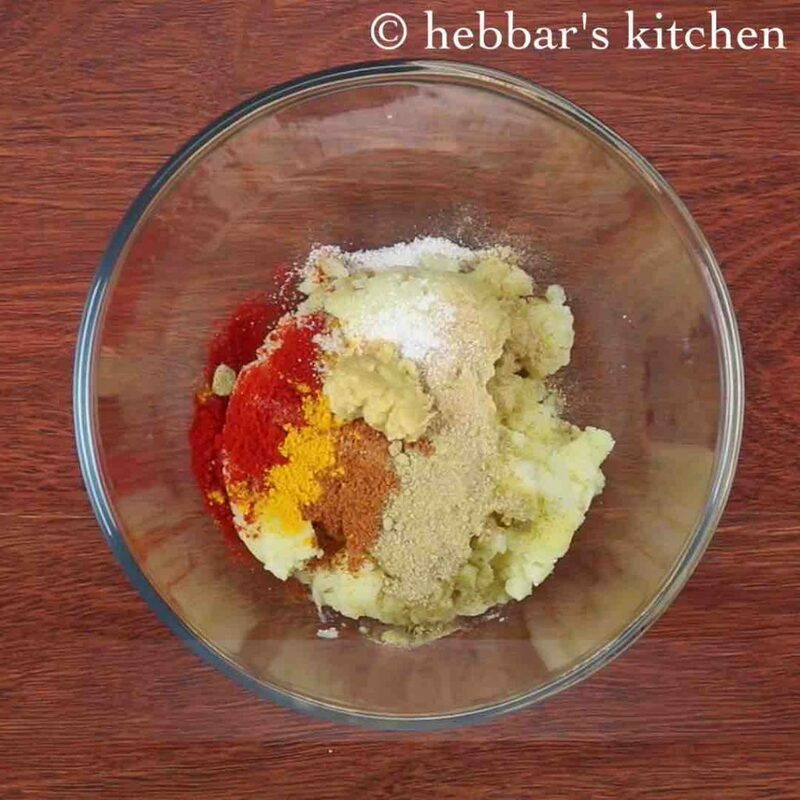 add in ½ tsp chilli powder, ¼ tsp turmeric, ½ tsp garam masala, ½ tsp aamchur, ¼ tsp chaat masala, ¼ tsp salt and ½ tsp ginger-garlic paste. 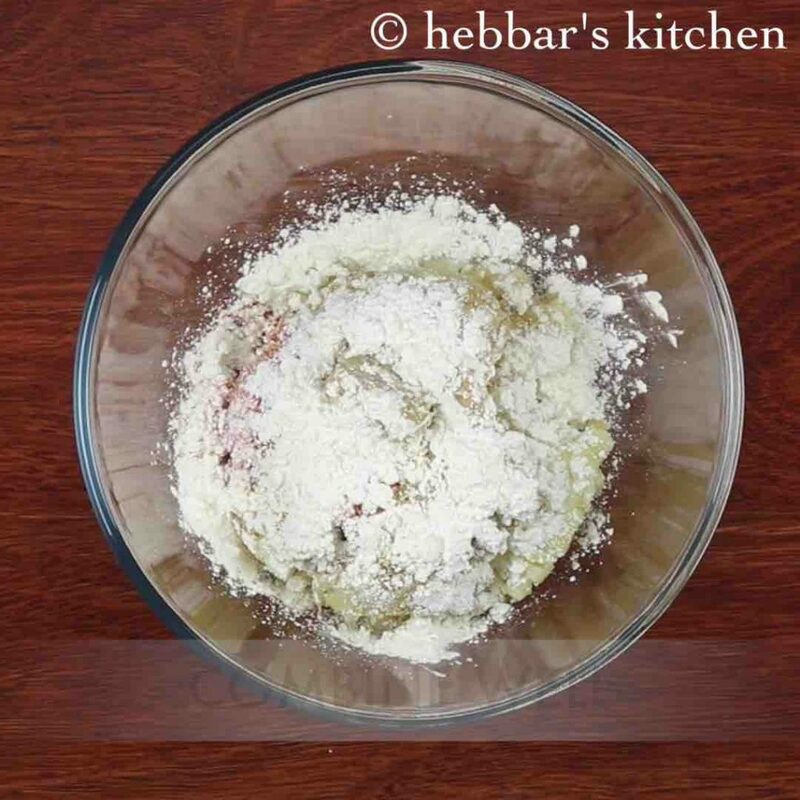 also add 2 tbsp corn flour and combine well. 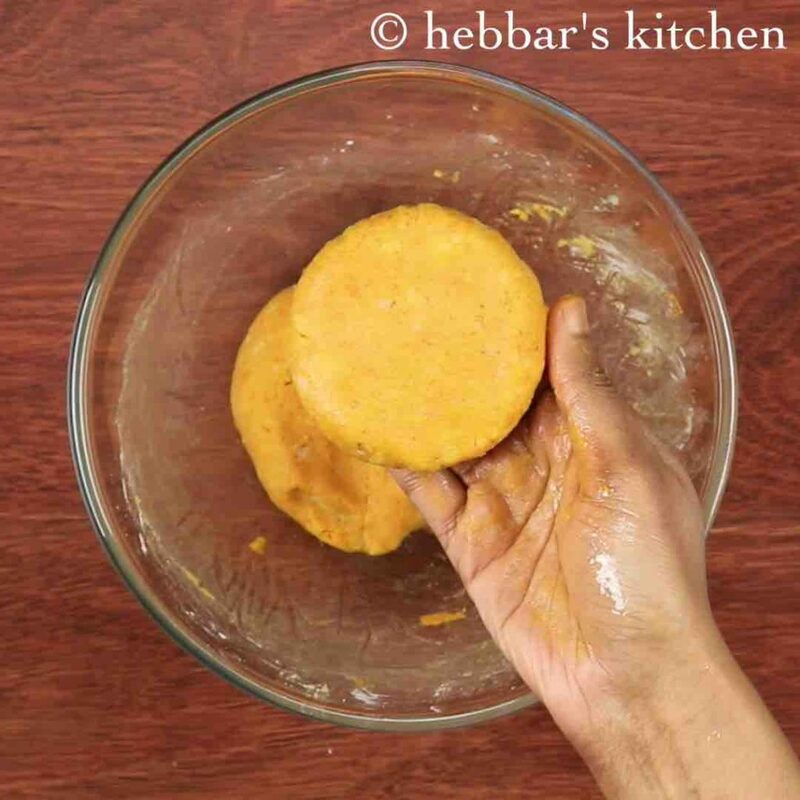 furthermore, grease hand with oil and prepare small patties. roast on hot tawa with oil. place the prepare tikki in a plate. top with 2 tbsp curd / yogurt. also spread 1 tbsp green chutney, 1 tbsp tamarind chutney, pinch of chilli powder and salt. further top with 1 tbsp chopped onion and tomato. 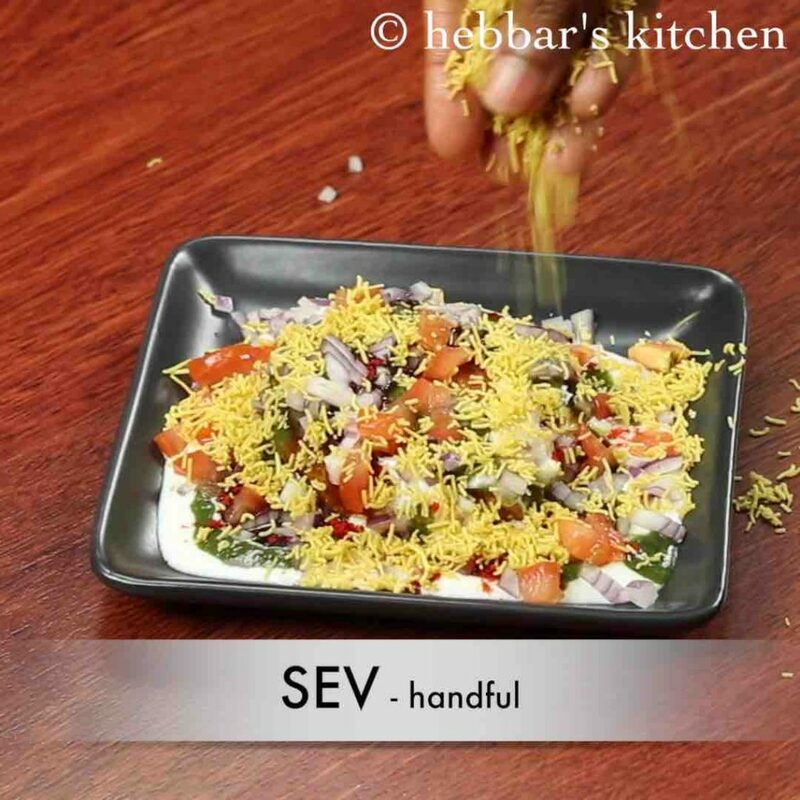 garnish with handful of fine sev, pinch of cumin powder, chaat masala and coriander leaves. finally, serve aloo tikki chaat recipe immediately with hot chai. firstly, in a large mixing bowl take 2 boiled and mashed potato. i have pressure cooked potatoes for 2 whistles. 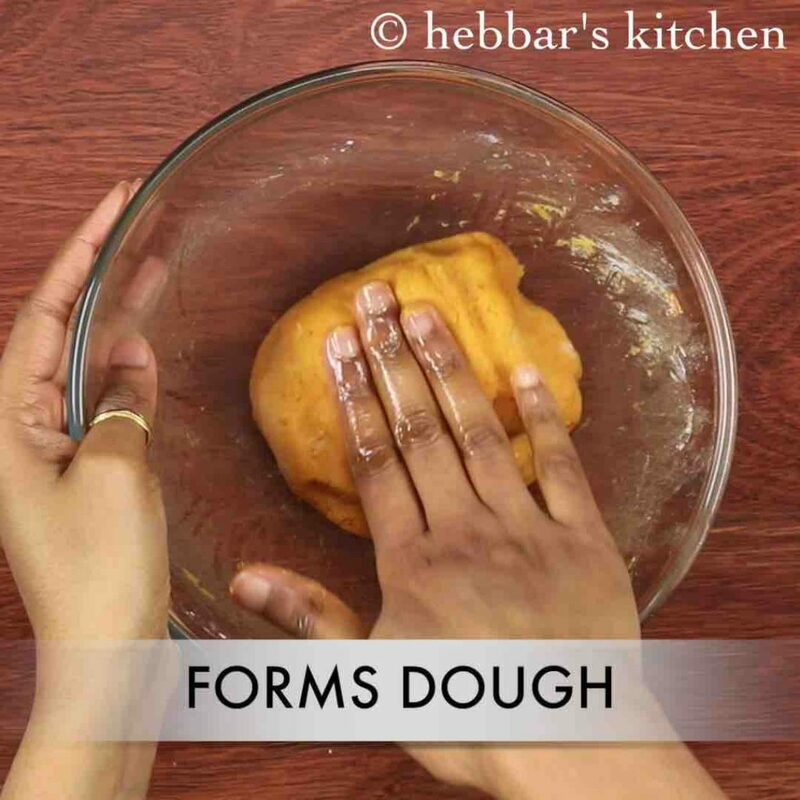 form a soft dough adding more corn flour if required. 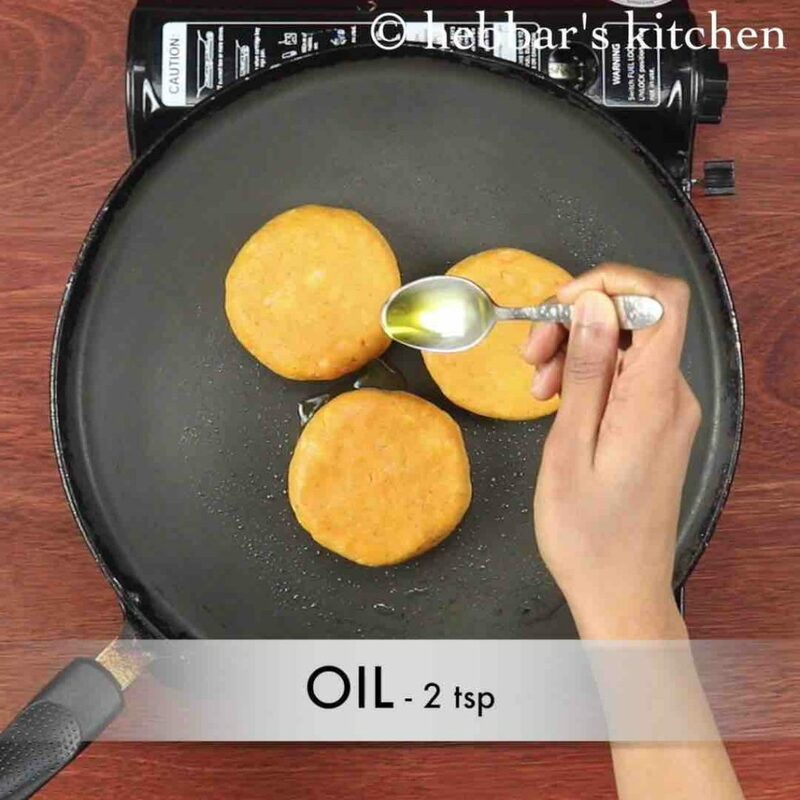 grease the aloo tikki with oil both the sides. further, roast the tikki on low-medium flame till they turn crisp and golden. firstly, add green peas or any vegetables to make tikki more nutritious. additionally, top with chole masala to prepare aloo tikki chole chaat recipe. also, adjust the spice according to your preference. 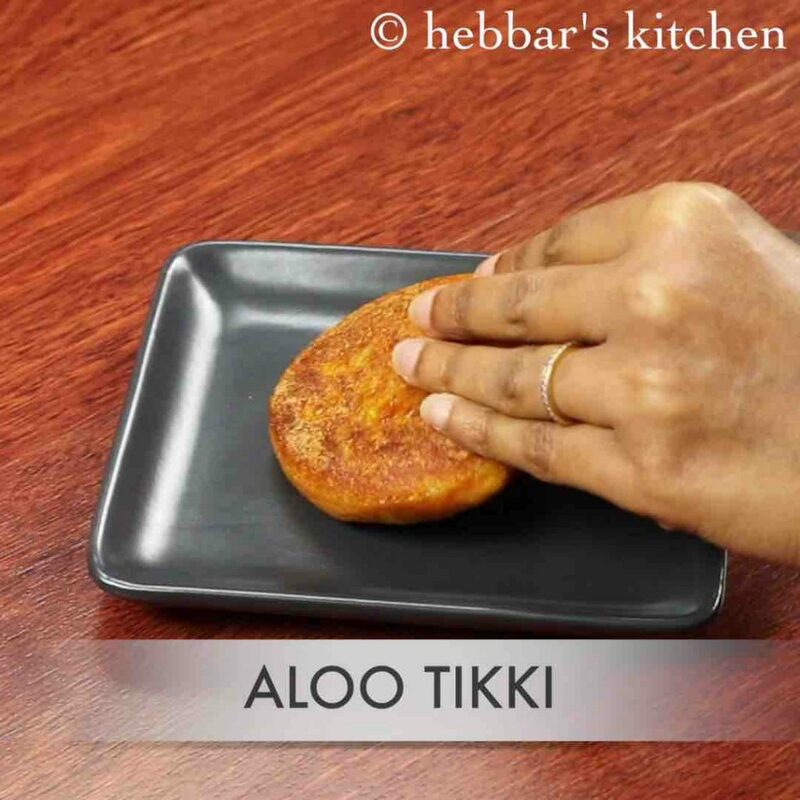 finally, prepare and serve aloo tikki chaat recipe immediately. Ur recipe helped me alot to learn so many new recipes..just small suggestions wen ever u post a recipe please do mention substitute ingredients (if any)..bcz sometimes the ingredient u mentioned might not be in the kitchen but it’s substitute may..
Can u tell me some substitute for dried mango powder? Is it necessary to use it or anything to replace? 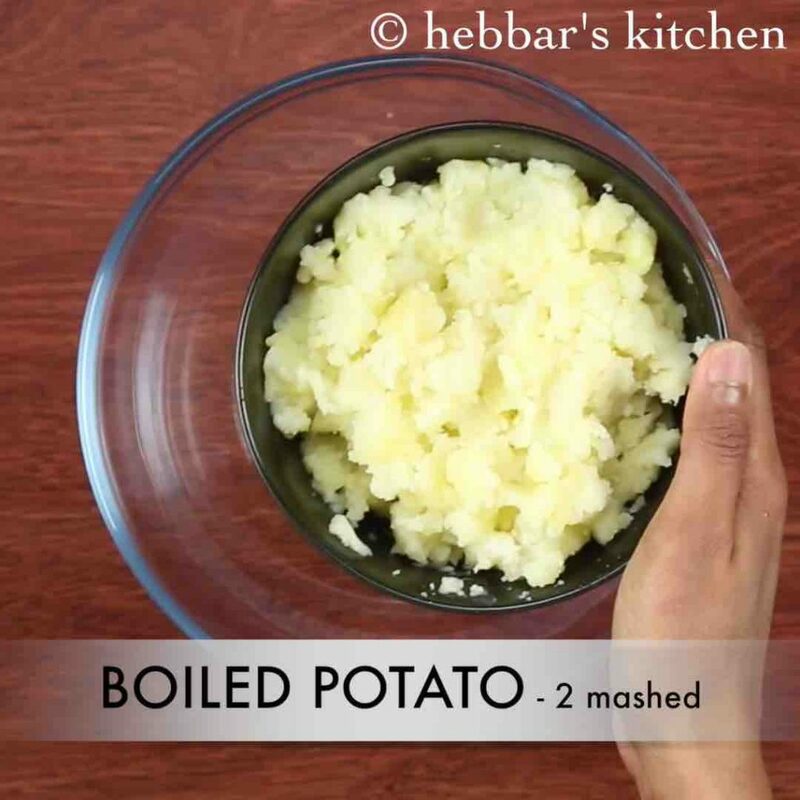 superb hebbars kitchen I love ur all recipe…thank you itna easy me har chij btate ho or taste me bhi best…. Love allot….bus Hume yuhi recipe bejhte Rahna….. I love to prepare all ur recipes becoz they are very easy and simple….keep posting new recipes.. I Like all your recipes. It is very simple and short.Presentation and video is very nice and inspires us to make them, I love to cook for my son who is 2 ..thanks..
All your recipes are Aawsome,keep it upp!!! Can u please suggest any substitute for cornflour?